Ibrox Noise: Is Richard Keys right about Steven Gerrard? Is Richard Keys right about Steven Gerrard? Graeme Murty picked the wrong Rangers team once again for the 5-0 mauling in the league title decider at Celtic Park and coming so soon after the 0-4 semi-final of the Scottish Cup debacle at Hampden Park a couple of weeks earlier – it was as sore as it was expected! It was the last straw for the board and they relieved Graeme Murty of his job – or he resigned, depending on who you believe. We now have a chance of finishing in 2nd or 3rd place with Kilmarnock, Aberdeen and Hibernian games coming along fast and a possible 9 points still to play for. Being a top Rangers manager is for someone who is very special... and although the board are taking another huge gamble – this one has a decent chance of working! There is very little that Keys doesn’t know what’s going on with all his contacts in the football world. 37-year-old Stevie G’s first task will be to try and stop the Celtic juggernaut and let’s be honest, they haven’t faced any real competition for any of their title wins since Rangers’ relegation due to lack of money. Graeme Murty was an inexperienced youth coach asked to take over as manager of our great club and now we have Stevie G - another inexperienced under 18’s youth coach getting the same opportunity. I sincerely hope with his undoubted talent, this one ends in success! 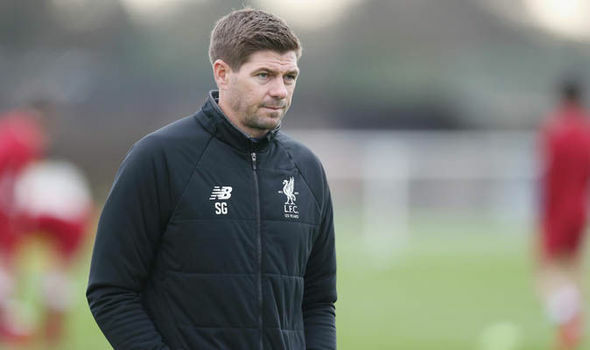 There are too many millionaire ex-players who turn their backs on management, preferring a life as a television pundit, so credit to Stevie for accepting one of the biggest jobs in football - by becoming the new boss of a giant club. Nobody is saying that Stevie is definitely the right man for this enormous job, but it will be exciting to see what he can do, and he must be given time and money to turn Rangers around to becoming winners again. His bravery has been commended by many, including us. Let's hope it is rewarded. all my comments today haven't appeared ..... so this one will probably be the same. I cant understand all the optimism over Stevie G. As IN has said Murty was inexperienced and so is SG but SG seems to be messiah due to his experience as a player. until Dk publicly outlines the plan and publicly declares the perameters of the war chest I for one wont be buying into the story. Great article I had a lot of time for Keys and Gray apart from a very small slip they were good and know the game. I really really hope Steven comes PLEASE !! it will be an inspirational appointment that will ripple through World Football and burst that very comfortable Green Smog that has infected Scottish Football and it's corridors of power right to the top...there has been no opposition at all to them since the establishment and Whyte Green et al shafted us ...Please let it happen and buckle up and enjoy the ride WATP GSQ !!!! I just want him to yes or no so we can move on it has dragged on for to long now the next 24 hours we should hear it from SG if he is coming or not. Big bucks for him i do hope so i would think £30 million a year for three years should be enough to put us back on top. I hang my head in disbelief to those who are excited to having Steven Gerrard as our manager! He is an under 18s youth coach ffs!! Again, setting yourselves up for the big fall!! Give the beggars number 8 now, and save us all the pain again watching it! Ok then so who is your choice. Who is this miraculous safe pair of hands who is going to ride to our rescue. It's a tall order for anyone and Gerard stands as good a chance as the rest. "STEVIE G NEW RANGERS MANAGER"